Saturday, 25th of April at 9 p.m. is reserved for the opening of the K4LEIDO5KOP of culture in front of the Czech Magazine, near the ‘Kineska Quarter – Youth Creative Polis’ in Novi Sad. The beginning of the Kaleidoscope of Culture will be marked with 30 minutes of art with the combination of artistic forms implemented by the team of young artists, led by the idea of joint creation of space and cultural programme. 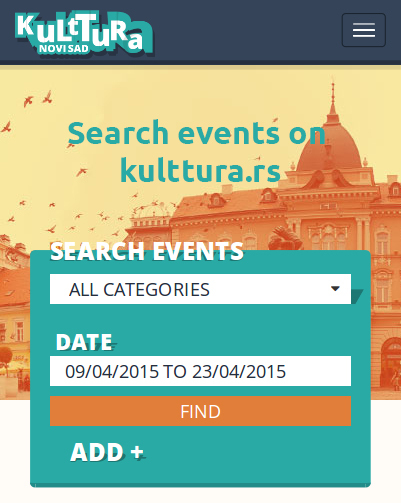 They will present a unique picture of diversity of Novi Sad through different types of art. Nada Kolundžija, pianist from the Belgrade Philharmonic Orchestra will perform at the event. Special guest will be Slobodan Trkulja, multi-instrumentalist and singer. The event will feature the ‘Alice in WonderBand’ duo with their performance in which they use the body as an instrument. By the end of September, citizens of Novi Sad, as well as tourists will have a chance to enjoy more than 400 programmes featuring more than 1000 local and foreign artists. Through architecture, literature, performing art, applied and visual arts, the audience will enjoy extraordinary performances of foreign and local artists at more than 80 locations. Through the platform of Kaleidoscope, Novi Sad gets the summer rich in cultural events in a unique form, since the Kaleidoscope is the work of culture of togetherness of Novi Sad.